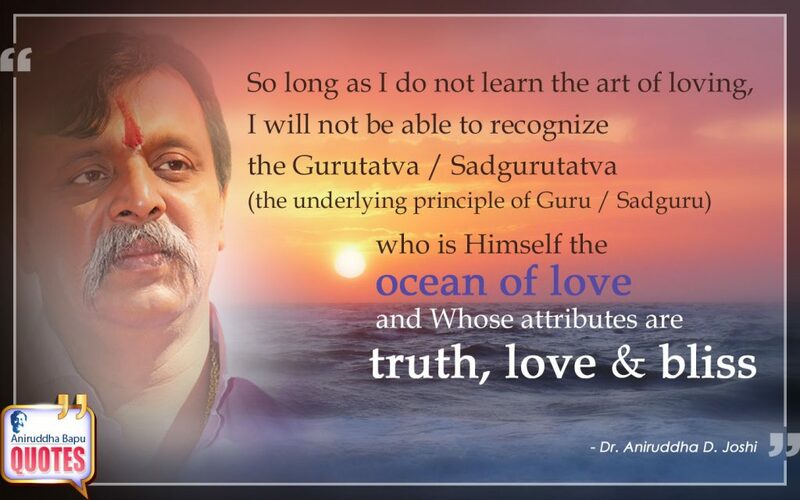 So long as I do not learn the art of loving, I will not be able to recognize the Gurutatva / Sadgurutatva (the underlying principle of Guru / Sadguru) who is Himself the ocean of love and Whose attributes are truth, love & bliss. A state of total bliss attained through the path of complete truth & love is the real success! therefore, Truth (satya), Love (prem) & Bliss (anand) together spells success.